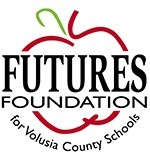 The School District of Volusia County and FUTURES Foundation announced the Principals of the Year. Dwayne Copeland, principal of Starke Elementary School in DeLand, is the 2018 Elementary Principal of the Year, and Mrs. Stacy Gotlib, principal of River Springs Middle School in Orange City, is the 2018 Secondary Principal of the Year (see photos above). 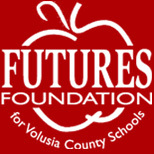 The announcement was made during a surprise visit by school board members, the superintendent of schools, district administrators and FUTURES Foundation representatives.